Last year I performed an internet search for the first editions of the first twenty Caldecott Medal books to determine the number of books currently being offered for sale, and similar to past searches, calculate the average selling price. 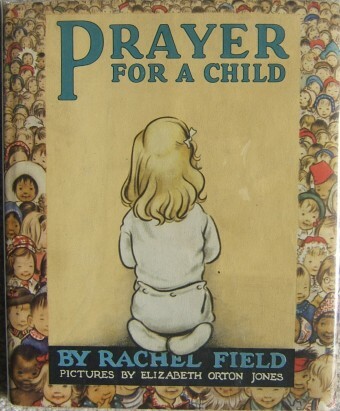 I recently performed a similar search, this time for the first forty first edition Caldecott Medal books covering the award years 1938-thru-1978. The searches were performed across multiple book sites, ABE, ABAA, and Bookfinder, and were filtered for first edition books with dust jackets, in VG- condition or better. We excluded ex-library editions, first editions without dust jackets, and dust jackets in poor condition. For the results of this survey please see the table below. Note: In the table below, click on the book’s title to see a representative search for the book on ABE Books. You will have to comb thru the results and select the first editions. The search queries do not rely on the ‘first edition’ or ‘dust jacket’ properties within ABE listings since these are unreliable. I have no affiliation to ABE Book, any bookseller, their offering(s), or to the sale of any particular book mentioned on this site. For the years 1938-to-1978, 122 first edition books were found currently for sale. 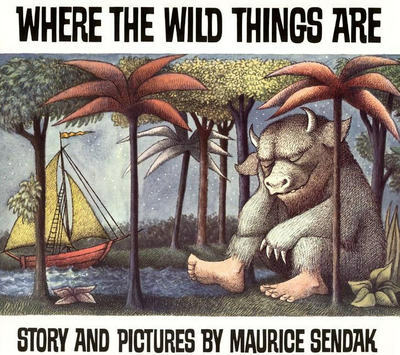 There are ten copies of Maurice Sendak’s Where The Wild Things Are being offered, which greatly skewed the average asking price. With WTWTA included, the 122 books have an average asking price of $2,635. In the survey the asking price was not adjusted to the condition of the book being offered, so use the average price judiciously, since the book and jacket’s condition has a major impact on valuation. The survey results table also provides the Scarcity and Collectibility index for each title. As many of the regular readers know, in the 23,000 picturebooks in my database, each book's collectibility is ranked on a 1-to-10 scale, with 10 being the most desirable, and each book's scarcity is similarly ranked, with 10 being the most scarce. My norm is to start with a Collectibility Index of '7' on first edition Caldecott Medal books, then adjust for other factors, such as illustrator's or author's eminence, copies sold, and so forth (see Factors Affecting The Value Of Children's Books). First editions for twelve of the forty Caldecott Medal winners are not currently being offered for sale on the internet. Understandably it would be a seller’s market for pricing any of these in first edition issue with dust jacket. As was expected due to their scarcity Ezra Jack Keats’s The Snowy Day (1962) is not available nor Marcia Brown’s Cinderella (1954). First editions in dust jacket for either book do not surface for sale very often. Ten other books are not currently offered, including Nonny Hogrogian’s Always Room For One More (1966) Ed Emberley’s Drummer Hoff (1968), and Gerald McDermott’s Arrow To The Sun (1975). I don’t think the three books are scarce in first edition issue – time will tell – however I did elevate their Scarcity index to ‘7’ in the following table. Obviously, should a single copy surface, the offering price will represent a seller’s market with no competing comparables. William Steig's Sylvester And The Magic Pebble is a tough get in first edition issue. The book is larger than one would expect, and beautiful to behold. In consideration of Steig's success as a cartoonist for the New Yorker, producing some 2,600 illustrations and over 110 covers for the magazine, and his creation of Shrek, which formed the basis for the Dreamworks movie series, his first edition picturebooks are very collectible. Only one first edition copy of five other Caldecott Medal books were found. There is only one first edition copy of The Biggest Bear (1953), Frog Went A Courtin (1956), A Tree Is Nice (1958), May I Bring A Friend? (1965), and One Fine Day (1972). The offering price for One Fine Day is priced a bit low at $150 for the only copy on the market. Based on past experience, I don't think the book is too scarce. The Biggest Bear (1953) is priced modestly for an issue which is not nearly as common. 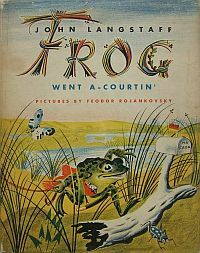 Frog Went A Courtin is somewhat difficult to find, not a rare issue, and the price illustrates the pricing power when only one collectible book is offered on the market. There are 10 copies of the 1964 Caldecott Medal winner Where The Wild Things Are on the market. The asking price averages over $13,000, and ranges from $20,000 to $7,500. The high prices are indicative of the high desirability/collectible of the book coupled with its relative scarcity. In my database of over 24,000 children's book titles, I give only two books a Collectibility Index of '10'; Cat In The Hat and Where The Wild Things Are. Even Curious George and Goodnight, Moon only garner a '9'. Where The Wild Things Are has been a known collectible outside of the children's book market, so generalist booksellers have carried the book in addition to the children's book specialist. The book is routinely included in fine book auctions. These documented prices have become known, so book scouts and booksellers are on the lookout for first edition copies. Documented prices have escalated over the past two decades. Are ten copies too many? Should prices fall? I don't know. There is an adequate array of prices, book condition, provenence, and bookseller credence to provide the able and willing prospective book buyer an adequate range of selection. Ten copies seems about right. Pause to ponder. Why would buyers purchase higher priced copies when equivalents are on the market for less? One can only guess. Perhaps well-heeled book collectors prefer to deal with high-end established children's booksellers, so are willing to pay the high asking price. One could also presume that in numerous instances, the buyer would not be comfortable with internet purchases, or maybe not aware. With the higher priced copies selling, the average price for several of the books appears to be decreasing, when this is not the case. The higher priced copies have left the market, so the average selling price of the remaining books is mathematically less. The collectability and scarcity of the 23,000 titles in my database have each been rated on a 1-to-10 scale (10 being most collectible and 10 being most scarce). These ratings are included in the table with the survey results. As most experienced book collectors and booksellers know, the scarcity of a book has a major impact on its value in the market. Scarcity in and of itself does not drive value, but instead value results from a combination of scarcity and demand. For books, the scarcity-versus-collectibility equation is synonomous with the familiar supply-versus-demand equation taught in classical Economics. Scarcity represents the collective supply for the first edition book, while collectibility is the collective demand. While the latter is of primary concern to the book collector and the bookseller when pricing a book within the current market, the former must be considered, if only slightly, when making a collectible book purchase with "investment" concerns. Since most librarians currently do not know how to correctly identify first editions of contemporary American picturebooks, it is problematic to query libraries/institutions using Worldcat to understand the population statistics for such books. Keep this in mind as the hobby matures. Eventually, libraries will house first edition collections of Caldecott Medal books, Seuss books, and the like, so querying Worldcat will not be as futile.